If retirement planning hasn't been at the top of your to-do list, your 50s are the time to make it your first priority. Wait 10 more years, and your only choice of retirement options may just be to keep working. Here's how you can prevent that from happening. If you have a high-deductible health plan (HDHP), you can open a health savings account, or HSA. Contributions to an HSA are made on a pretax basis and remain tax-free if used for qualified health care expenses. For the 2018 tax year, if you have an individual plan, you can contribute up to $3,450, and if you have family coverage, you can contribute up to $6,900. If you are age 55 or older, you can contribute an additional $1,000. A health savings account is similar to other tax-advantaged retirement accounts: Once you establish an account, you don't need to use up the funds each year, and you may be able to invest the money within the HSA, allowing the account to grow. And even if you've established the account through your job, you can take the account with you if you leave. This is the time to begin thinking about how you will establish a base foundation of guaranteed monthly income that will cover your necessary living expenses. And for many individuals, your Social Security benefit will be the first part of that foundation. If you haven't already done so, you can start by creating a "my Social Security" account on the Social Security Administration's website, where you can check your work history and benefit summary. This can give you a good idea of how much other savings you will most likely need in order to cover the shortfall between your living expenses and your Social Security check each month. You can receive Social Security benefits as early as age 62, with one major caveat: You will receive 70 percent of your full earned benefit. To receive 100 percent of your retirement benefit, you must wait until your full retirement age, as determined by the Social Security Administration. For anyone born in 1960 or after, that age is 67. Now is the perfect time to sit with a financial planner who can help you look at what retirement will realistically look like for you. You can go over your expenses, which is the first step to figuring out how much monthly retirement income you will need. That, in turn, will indicate how big of a retirement portfolio you will need to generate that income. 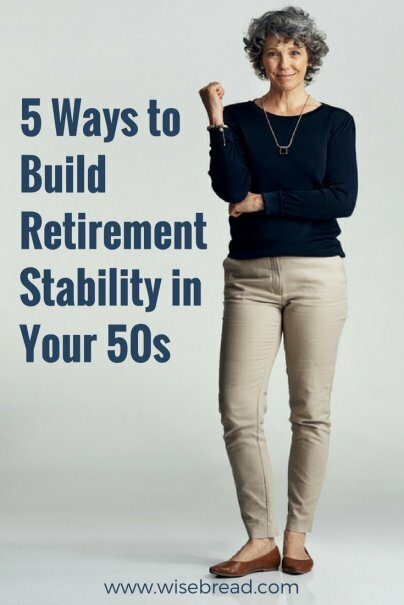 Your 50s are as much about increasing your net worth as they are about properly managing and protecting your current assets. This may be your last chance to get it right.